Enthiran sets off a new trend & 50 days official collections! 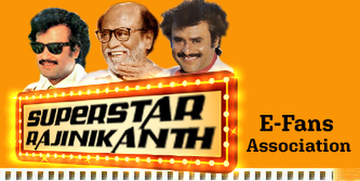 Rajini becomes pan-Indian phenomenon with highest grossing film of the year! Declares Filmfare!! Robot sets a new trend in Pune! Enthiran is a super blockbuster in Kerala with amazing collections! NDTV Profit tv declares that Robot beats all time record movies 3 Idiots & Dabaang !! Ayngaran International officially confirms an astounding collection of Rs.61 crores in overseas so far!! Enthiran Tamil version captures No.1 in Malaysian Box-office! Enthiran collects Rs.100 crores as distributors share alone!! Endhiran literally sets box-office on fire; collects more than 100 crore within a week! BBC’s article on Superstar and Robot’s super success! Robot (Telugu) version turns a massive blockbuster! Robot sets new record! Here comes the Badshah of the Box-office!! Rajini Vs Ranbir A clear picture!